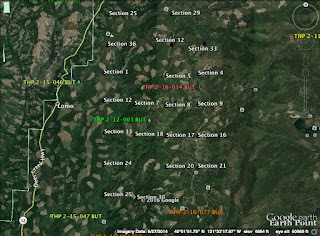 THPBlog: Sierra Pacific Industries to clearcut log at Butte Meadows NE of Chico, CA. Sierra Pacific Industries to clearcut log at Butte Meadows NE of Chico, CA. 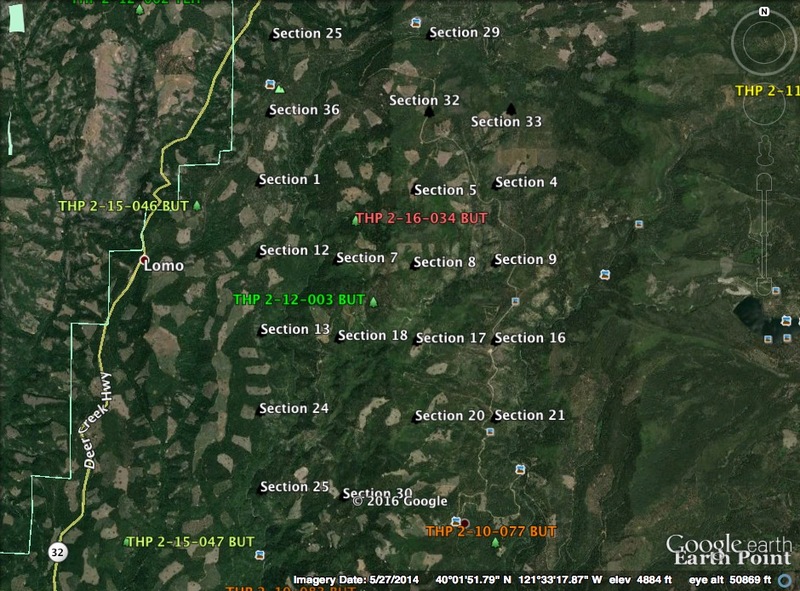 This THP is about 20 miles NE of Chico, CA and about .5 miles north of Butte Meadows, CA near Highway 32. Sierra Pacific Industries is planning a mostly clearcut tractor and cable logging operation in white fir, Douglas fir, sugar pine, incense cedar and ponderosa pine forests. 15, 900 feet of seasonal road construction is proposed, and the use of ground based equipment is proposed in areas designated for cable logging to construct fire breaks in units 1, 2, 3, 4, 15, 16, 19, 24, 26, 27, 28, and 29. 109 road drainage sites are planned for work including rocking, dip construction, culvert repair/replacement and restoration of washed out crossings. There is a historical (1978) sighting of a red fox located in section 30 a half mile north of the THP area. Fisher sightings were reported in sections 1, 6, 7, 16, 17, 18, 20, 29, and 30, northern goshawks were reported in sections 20 and 30, osprey was reported in section 30, and a cascade frog was reported in section 29. There are 9 CA spotted owl nesting territories within 1.3 miles of the THP area, including sections 23, 25, and 27.